Pastor's Max & DD have been in ministry together for over 18 years now. After receiving a direct call from God in 2006, Pastor's Max and DD obeyed the Lord and opened Elevation Chapel, a non-denominational Christian church in the Metro-West suburban Boston area. Step by step, God led them further into their church development and ministry providing for every need they've had along the way. In January 2011, God led them into a major transition through a beautiful uniting of their Elevation Chapel congregation with what used to be the Christian Pentecostal Church of Newton. Together these congregations have merged to glorify and honor the Lord. Pastor's Max and DD demonstrate Christian love in their marriage and with their church body. They lead the church in studying scripture and applying it to our lives in this modern, fast-paced world that we live in. While listening to God for direction everyday of their lives, they are also busy raising their four beautiful children; Marissa, Xander, Maddox, and Xara. Their ministry extends into their home, the local education system and community, as well as to every friendship they develop. Our church body is blessed by their presence and ministry and we are grateful for them. Mario & Sondra have been committed to serving at Elevation Chapel since January 2011. But more so they have committed their entire lives to glorifying God and reaching the lost. Mario has been in worship ministry since he was a young boy, demonstrating a natural gifting towards music and a passion for it. He organizes and leads our Sunday morning worship with a great team of men and women who love to honor God through music. Mario is grateful for a wonderful worship team that works equally hard to improve their talents and to lead others in praising God. Sondra runs our Summit Seeker's Children's ministry; planning and organizing enriching curriculum and maintaining an ever-changing schedule of volunteers. Our children's program ministers to children in infancy through grade 5. 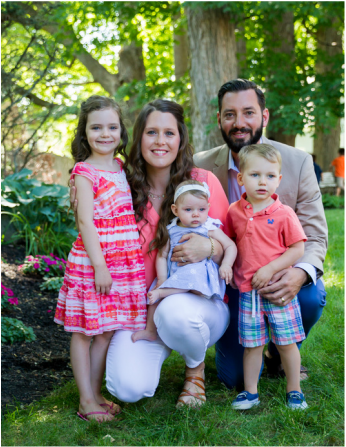 Her passion to teach children about the love of God has started in their home where Sondra & Mario are busy raising three little ones. She believes working as partners with Elevation parents is the best way to see our children grow to know the love of the Lord and to continue to following after Him as they reach adulthood.